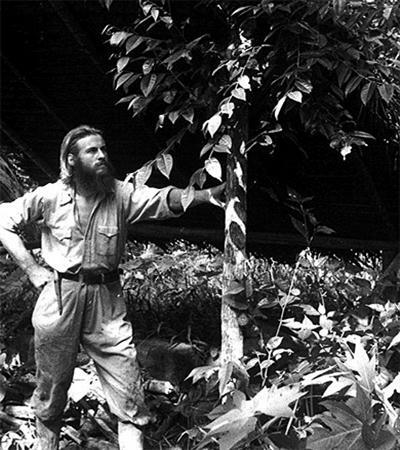 Many of you have heard about this famous Norwegian explorer and anthropologist. 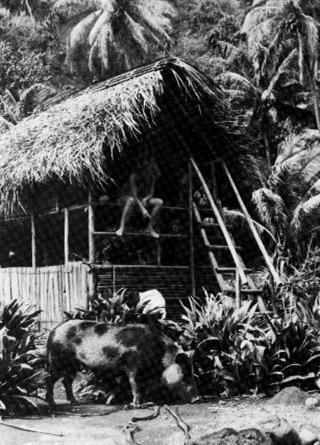 Thor Heyerdahl visited many countries, his books were read in one breath, and then reread again, and every reader wanted to, that's the same as he, to live on a tropical island Fatu Hiva in the Marquesas, French Polynesia. 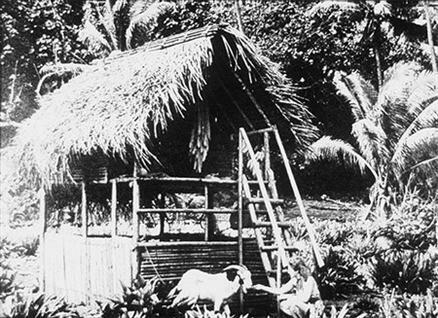 The first book of Thor Heyerdahl, of his life on the island of Fatu Hiva, called "Hunt for Paradise", and was published in 1938 in Norway. But was forgotten because of the outbreak of the World War II. Under a new name: "Fatu Hiva. Back to nature," the book was published much later, in this book have been published the new ideas of the author, after his other travels. 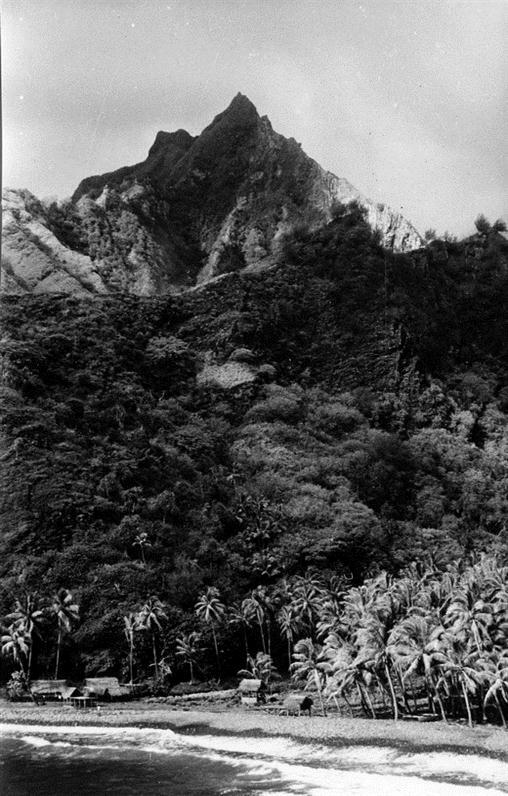 His presence on Fatu Hiva, Thor launched a new, alternative theory of populated islands of Polynesia. 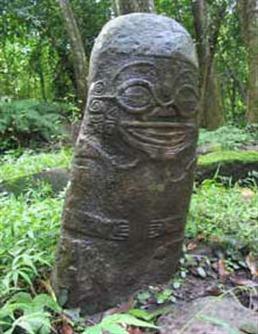 It was believed that the Polynesians came from South-East Asia, but the Thor was convinced that they came from South America. This was evidenced by many of the facts from various fields of science. 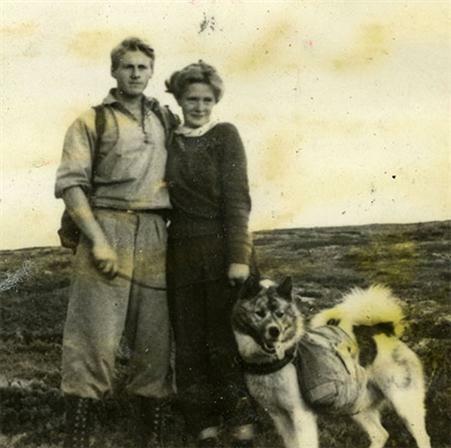 Tour Heyerdahl was the son of the Tour and Alison Leung Heyerdahl. He was born in the Norwegian town of Larvik. 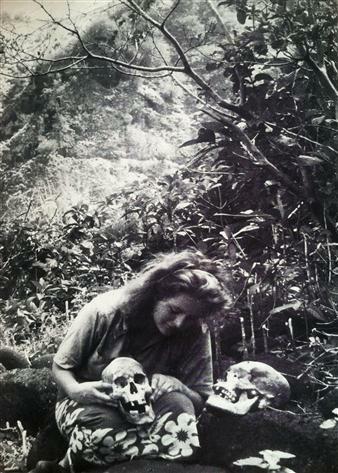 His mother worked in the anthropological museum and was rampant supporter of Darwin's theory. This, according to the Tour, and influenced his later interest in natural sciences. Tour Heyerdahl was a fierce opponent of progress and wanted to try to live in harmony with nature, without various surplus, as primitive man. Thor visited the idea that civilization is pretty bored him. He tried to express them to his friend, but he just smiled at him and Thor decided never do not speak a word about it. There was only one friend who understood him. At age 19 he entered of the natural-geographical faculty of the University of Oslo. 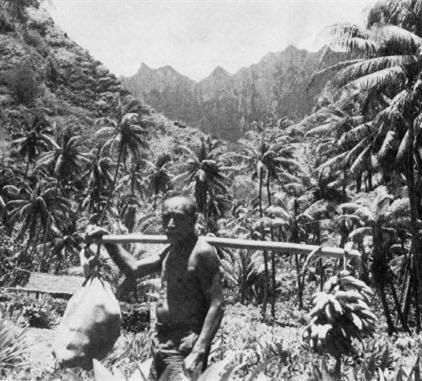 During these years he met with the Norwegian explorer Bjarne Kropelien, who lived on the island of Tahiti. Bjarne was highly respected local leaders, and he amassed a large collection of literature about islands of south seas. The dreams of Thor are very interested Bjorn and he allowed him to study all the material, taking him as a son. So he began to absorb in yourself all the information on Polynesia and the Polynesians. The Thor is hit on the idea he wanted to travel and to explored Polynesia. Thor drafted a project and offered it to the university. 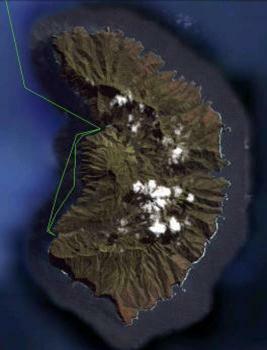 The project envisaged a private visit to the remote islands of Polynesia, and the study of flora and fauna on these islands. He had to learn, the penetration on of these islands certain species of plants and animals. In his journey, he decided to take his old acquaintance Coucheron Liv-Thorpe, with whom he had met before entering the university, and who also shared his views. 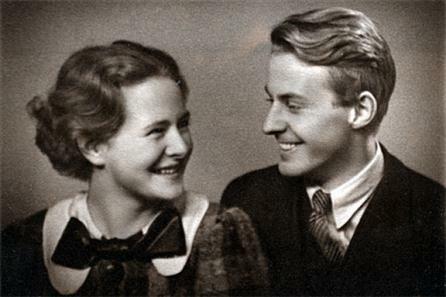 In 1936, the eve of Christmas, Tour and Liv were married. 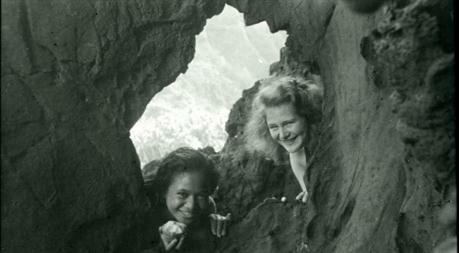 Immediately after his marriage, in the new 1937, without hesitation, the couple went to his unforgettable journey to French Polynesia. They chose a suitable long island. Thor and Liv just got a map and put crosses in the islands unsuitable, defective one after another. 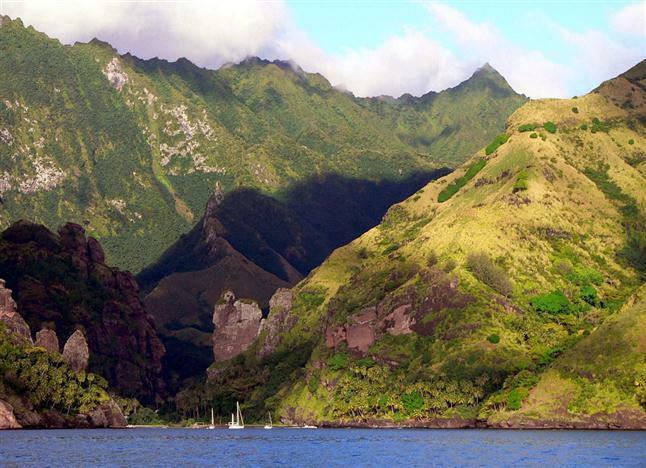 They stopped in the Marquesas archipelago, which in French Polynesia, and they chose the Fatu Hiva island. After reading about him, he immediately liked young travelers, and they went there. After overcoming a thousand miles away, on the other end of the globe in a hot, sunny and a bright Polynesia! 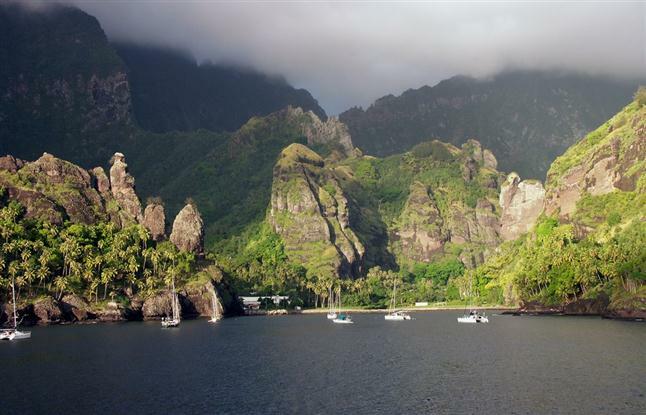 Thor and Liv arrived in Tahiti, while on the island there were about 20 thousand inhabitants, mostly Polynesians. After some time the couple met with the leader of the island - Teriieroo. As soon as he learned that in front of him are friends Bjarne Kropelien - he was delighted and took them as his children. Teriieroo taught them survival skills necessary for life on a tropical island. They went everywhere with him on the forests and mountains of Tahiti and trained. 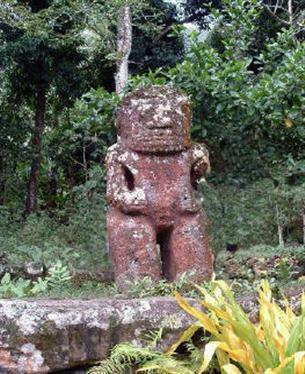 Teriieroo tried in every way to dissuade them to go to the Marquesas Islands, but Thor persistently repeated about desire to live as primitive man, in complete harmony with nature. 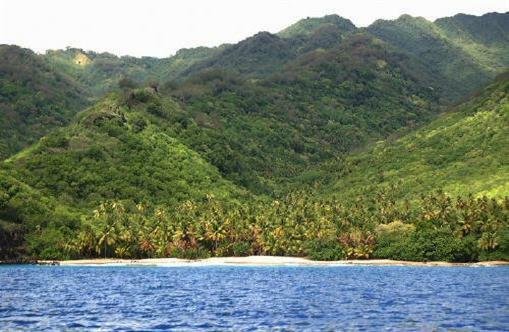 Following the days in Tahiti, Thor, and Liv went to his coveted island. Captain of the ship, too, in every way tried to dissuade them from this venture, but they do not listen to him, anticipating his landing on the Fatu Hiva. After landing on the island, they began looking for a secluded corner, where there were no local residents. Living with a local people they do not like for several reasons: first - the desire to try to live independently, as prehistoric man and the second - is that the local was widespread elephantiasis - a terrible disease that mosquitoes carry. Swollen legs and feet are like elephants. All the land on the island belonged to someone, and find a secluded place for free, they could not, and they had to rent a suitable plot of land from a local resident. 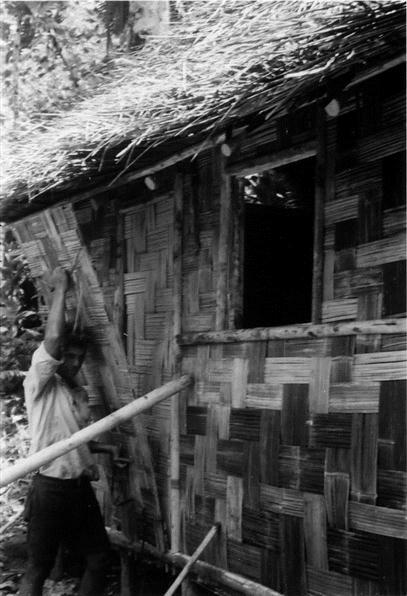 They also hired a local to build a bamboo hut. 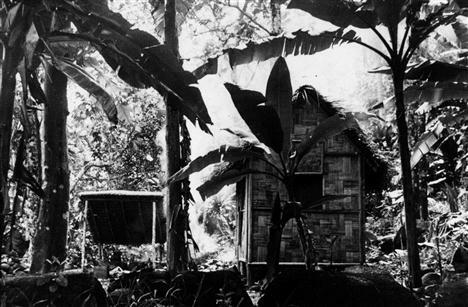 Thor Heyerdahl and Liv spent in his hut for many months. Having decided to abandon the benefits of civilization, they spent their time as Adam and Eve, in his tropical paradise. There were naked, and only had time to hide behind anything, at the prospect of the natives. Local same happened to come to them, especially their friend who brought them fresh fish or meat. Them is not enough food, they eat all sorts of tropical fruits that grow in abundance on the Fatu Hiva, but sometimes it is not saturated them. It seems to ate bananas and breadfruit, but still hungry. But then they adapted themselves to catch crayfish in the creek and the least as it appeased their hunger. Life Thor, and Liv was just a fairy tale, and many of you (and I too) just dream about such a pastime in a tropical paradise, this wonderful island. At first they did not know hardly any public concerns and fully surrendered to nature, its rhythm and all of its cycles. Fatu Hiva and all Marquesas, surprisingly very rich in its flora. 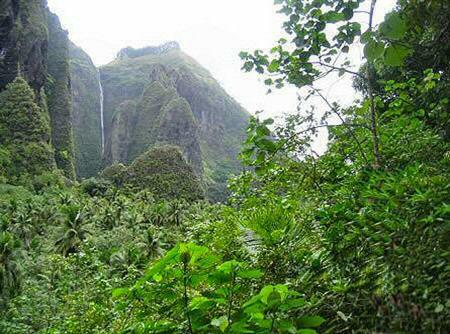 The forests of the island - a true Garden of Eden, owned at the moment only them. Loving each other's young Adam and Eve. 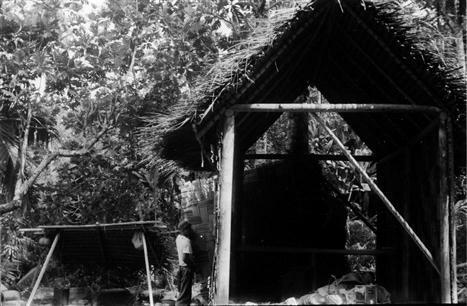 They collect breadfruit, bananas of different varieties, mangoes, pineapples, oranges. Collecting the fallen nuts from the coconut palms, because did not know how to climb. Drinking lemon juice. They taking a refreshing bath in the creek, the water which runs from the high mountains of the Fatu Hiva. Caught crabs and small fish. Of the large mammals on the island were horses, goats, pigs, cats, dogs. Many of them had run wild, after their owners left the island. Who went to the other islands, but in most cases, they died. The white colonialists killed a lot of Polynesians on these islands. Europeans imported a variety of diseases, from syphilis - up to elephantiasis, which were detrimental to local residents. At the time of the presence of the Thor and Liv on the island, flu epidemic broke out and people were dying in her eyes, but no one, neither of which could not help it. 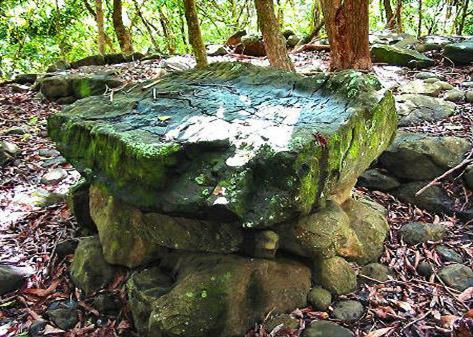 Prior to the arrival of Europeans, the islands, even the mosquitoes did not have before. But now they are, and infect the local terrible elephantiasis, which is no treatment. All because of globalization, because of which the white men brought a new plague for the Polynesians. Thor and Liv spent eighteen months in the Bay of Uia. This is the only village on the eastern side of the island. Now there are living 40 people. 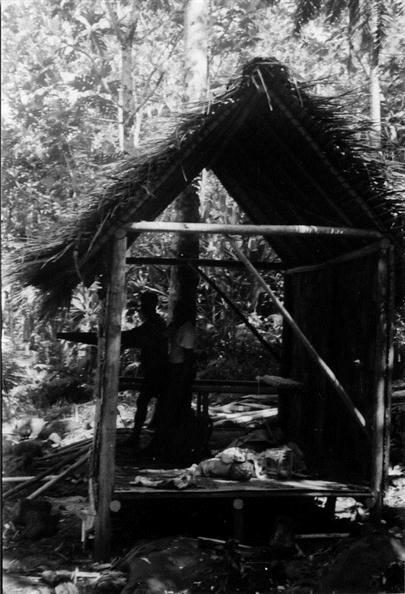 Despite such a carefree life, the Thor was aimed at the Marquesas Islands for another purpose. He had in the luggage ether and jars, in which he was to collect various insects caught on the island. What are they doing with Liv, and, from time to time. 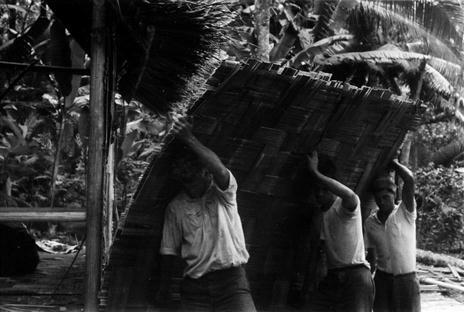 The name of the raft is not chosen by chance, Tiki - the hero of Polynesian mythology, according to which he, with his companions sailed from the East and founded a settlement on the islands. Just something like that, and met the Indians of South America. Very more a lot of similarities between Polynesian culture and American. As you know, before, among the Polynesians was a widespread practice of cannibalism. People ate people who were killed during the battles, so as to obtain the power of his enemy. 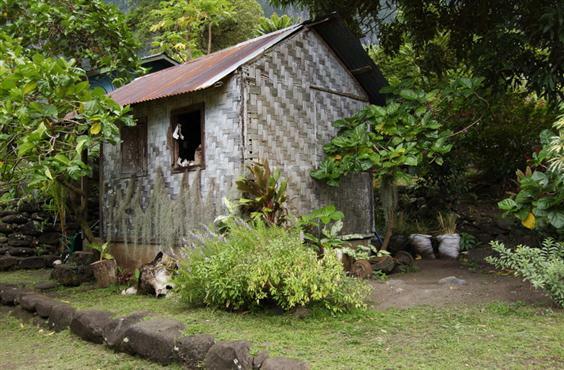 The last person tasted human flesh, lived at a time on Fatu Hiva. Thor and Liv got to know him, his name was Tei Tetua - here it is in the photo. The practice of cannibalism was more ceremonial in nature, but often, many people eat meat because of hunger. 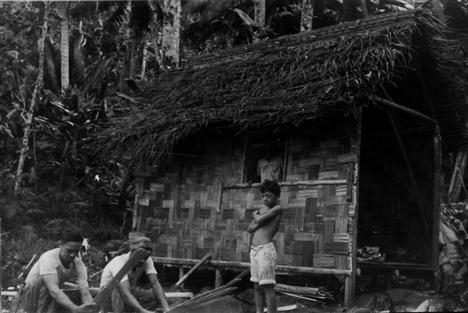 In those days, living on the islands are so many people and the food was not enough. Tei Tetua was a good man and he told them a lot about his people, Thor though not all understood, due to the complexity of the Polynesian language. But on the basis of all these stories, Thor has concluded that the old, the Asiatic theory is not valid. He passionately believed in his rightness, and his every step, more and more confirmed this. One day, they, along with one local went to see the ancient ceremonial caves and the remains of the temple. 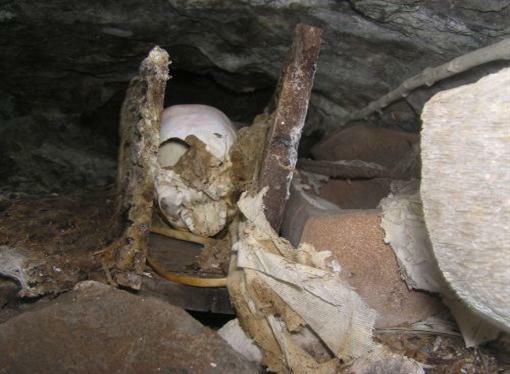 And ran into a cave, in which the human remains found, as well as the sacrificial buildings, which made human sacrifices. But it would be wrong to talk only about their safe stay - there were troubles. In the season of tropical storms, when it rained every day - everything was filled with water. Water was everywhere, all the soaking, and ceased to dry. They walked on these puddles, knee-deep in mud and they began to emerge tropical ulcers on the legs. In order to have enough small cuts, ulcers began to grow. In this humidity is not that they were healed - they grew even more. His legs were covered with Liv these plagues more than Thor. For them, a woman who came to fish bone, was taken to Hiva Oa, and there she had to cut off the leg, as she launched her very sore. Wounds showers were also impressive, it was obvious the meat, and they decided to go to Hiva Oa. But not any ships had not arrived and was not. And then they sailed themselves, with local residents, something like, almost drowned swam to the island, with at least some civilization.